So often, I call myself a travel blogger. Yes, I do! But I have a confession to make. I love food first and everything else later. There are so many times when I don’t wish to travel in literal sense but only travel to places through its food. And ever since I have been married in a Punjabi family, I dream food, think food and talk food more than anything. Whenever I get a trip itinerary, I hungrily look for a food tour. While my quest to travel and discover places is unending, the urge to discover food stories is also getting stronger day by day. Of all the materialistic things, the sight of good food makes me blissfully happy. 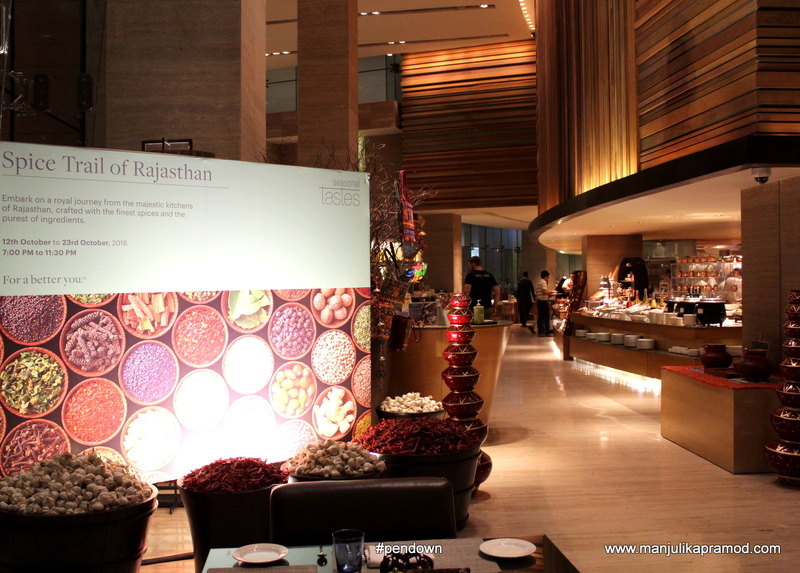 Come, join me on yet another culinary trail where I explored the Rajasthani Kitchens at Seasonal Tastes, Westin Gurgaon. When it comes to attending culinary trails and sampling food festivals, I never miss on these yummy opportunities. In fact, my love and understanding for food has grown in the last few years when I have attended several launch parties and tasting sessions. My association with some of the hospitality brands has been going strong and I am always up to give my honest feedback and pat their back. 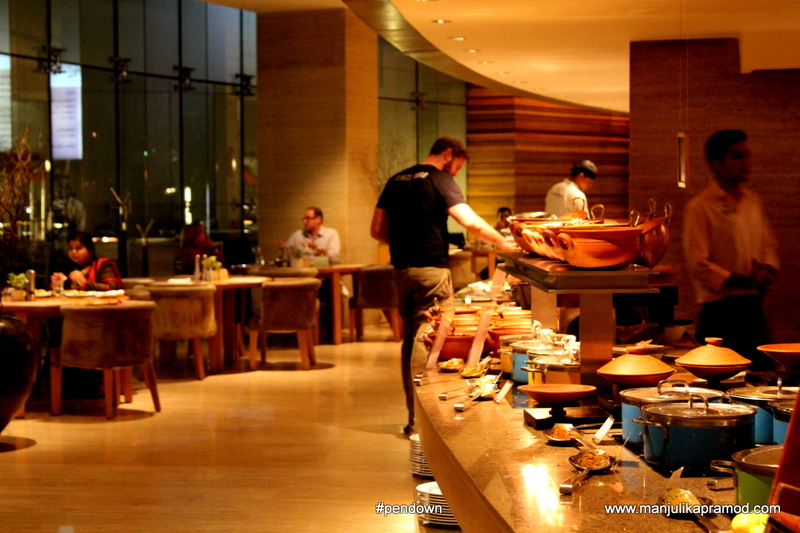 The Westin Gurgaon, New Delhi happens to be one of my favorites in NCR. Last month when I was in Varanasi, they invited me over to embark on a royal journey to the majestic kitchens of Rajasthan. The festival was taking place only over Dinner at Seasonal Tastes. The aroma and tantalizing tastes of Mawa kachori, Besan Ke Gatte Sabzi, Chana Dal Parantha, Aloo Mangodi, Chane Jaiselmer Ke, Lehsun ki chutney, Laal maas and Daal-Baati-Choorma immediately hit on me. When I returned from my U.P. trip, I ensured that I immediately attended the festival. You may wonder whats new about Rajasthani spices and ingredients. Well, we might think that we know it all but in all these years of my experiments with different food across the world, I have come to believe that every grain, every ingredient and every recipe has its own story. When it is all put together, the chef cooks up a new story and it is all the more delightful to hear these stories from the horse’s mouth. When I turned up at Seasonal Tastes, I knew it was going to be lavish, colorful and elegant as always. 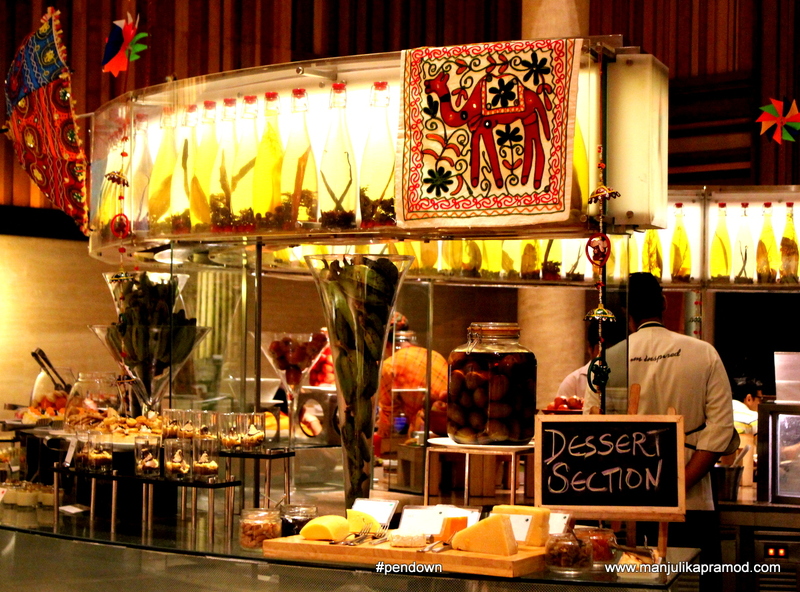 Their open kitchen and food counters are mostly decorated with delicacies from all parts of the world. At one side there was a decent spread of authentic Rajasthani food while on the other they had their regular buffet. One could excitedly race from one laden counter to another, ooohing over the spicy rich food, filling the plate with five to six kinds of chutneys and aaahing over the daal-baati-churmas and malpuas. I was warmly welcomed with a kulhad of chaas (buttermilk) and a glass of shikhanji (Sweet lemon water). While I quenched my thirst, the starters came pouring in. Initially, I was distracted because right across my table, I could see golgappas, dal kachori, mirchi pakoras, chaat and more. The easiest way to take over my grumbling stomach and mouth-watering taste buds was to walk to the counter and get a plateful. The satisfaction after having it all was unbeatable. 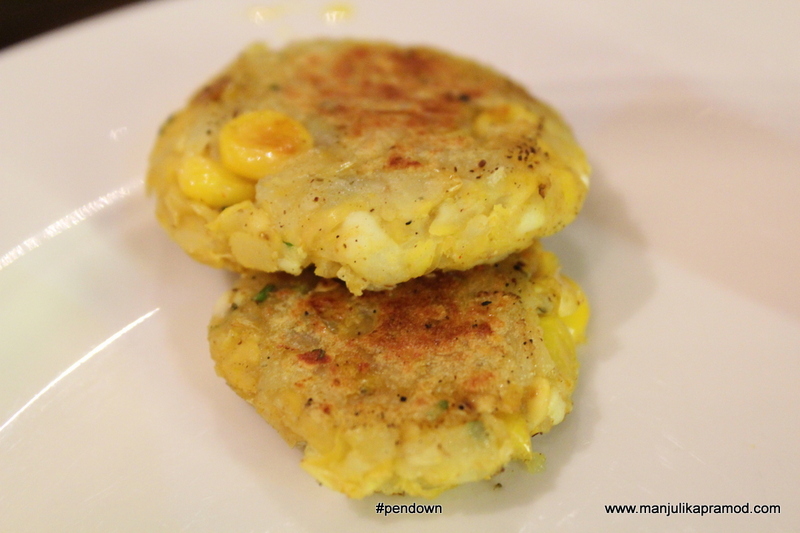 But I must mention, corn kebabs and paneer tikkas served as starters were eqaully delicious. I had an urge to repeat but I restrained because there was lots to be eaten yet. After this when I walked to the main counter, I also had an interaction with the chef. He walked me through every Rajasthani specialty and revealed some spicy stories. I was absolutely impressed with the different types of chutneys put together. 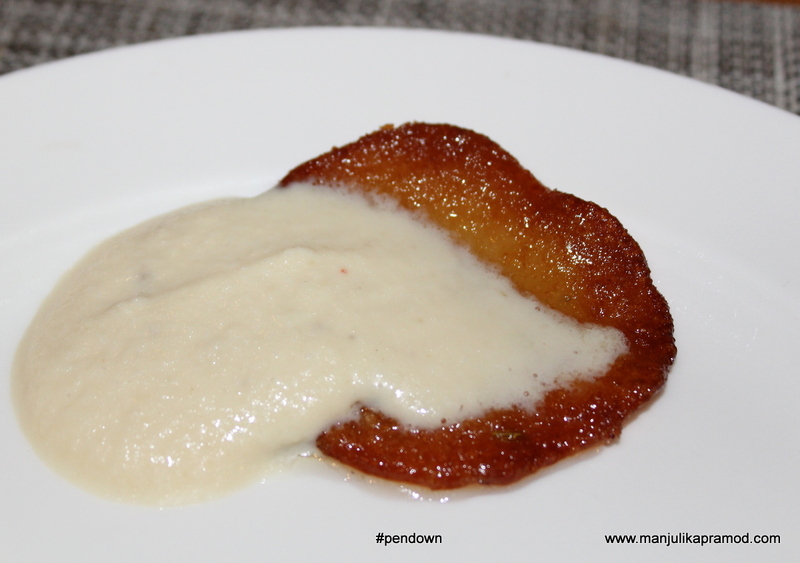 I am a great fan of spicy, Marwadi Or Rajasthani Lehsun Ki Chutney which is an essential for any Rajasthani Kitchen but that day I was more eager to indulge in the tempting Mooli ki chutney and Moongfali-Tomato chutney. ‘Rajasthani Tomato Mustard Garlic Chutney’ is an authentic dish from Rajasthan but here there was an interesting twist with peanuts in it. Kachari chutney was another delightful indulgence made with the main ingredient kachri (wild variety of cucumbers that easily grows in desert areas). What really impressed me about the evening was food. Everything was deliciously prepared. 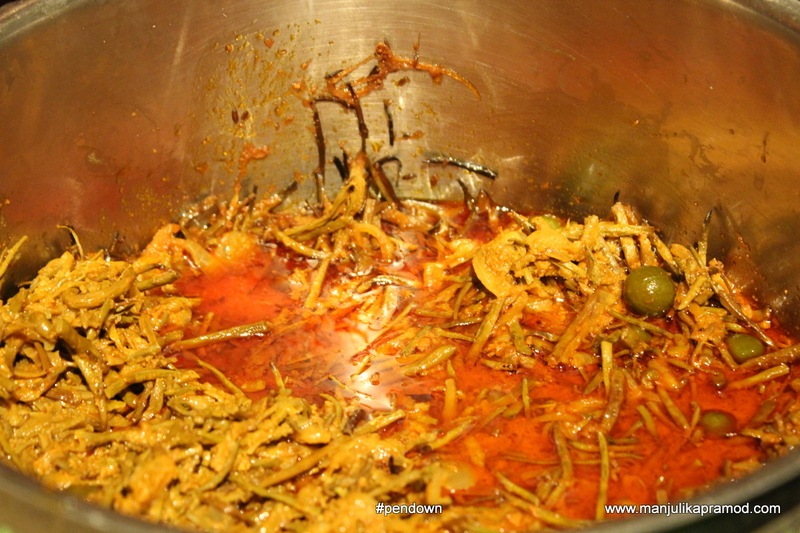 The curries overflowed with flavor and taste. 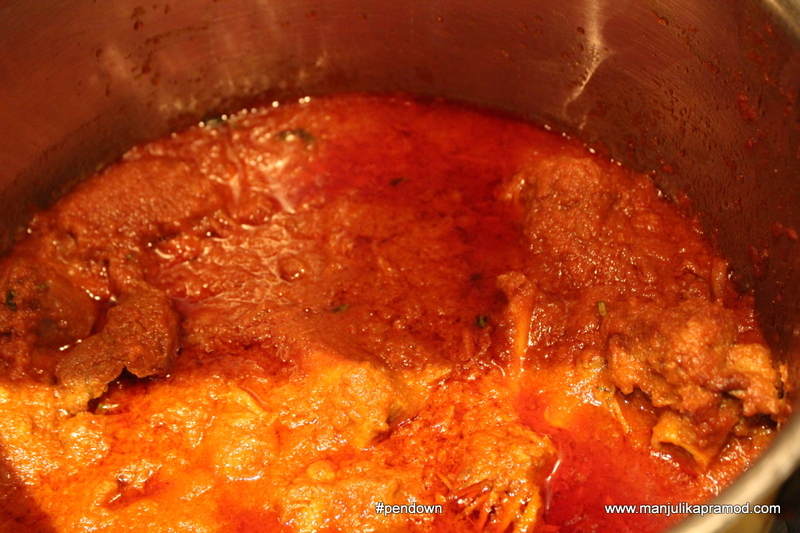 The Laal maas and Kasuri methi murg was divine. Husband thoroughly enjoyed the vegetarian delicacies and I hungrily digged into the rich and currylicious. Bonus: Aate ka laddoo was amazing! 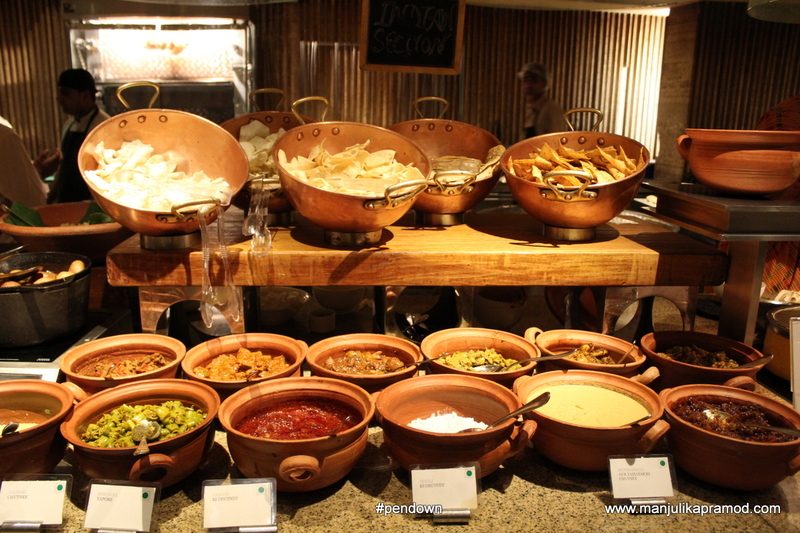 Trust me, Seasonal Tastes never goes wrong with their buffet spread and they always serve a variety. 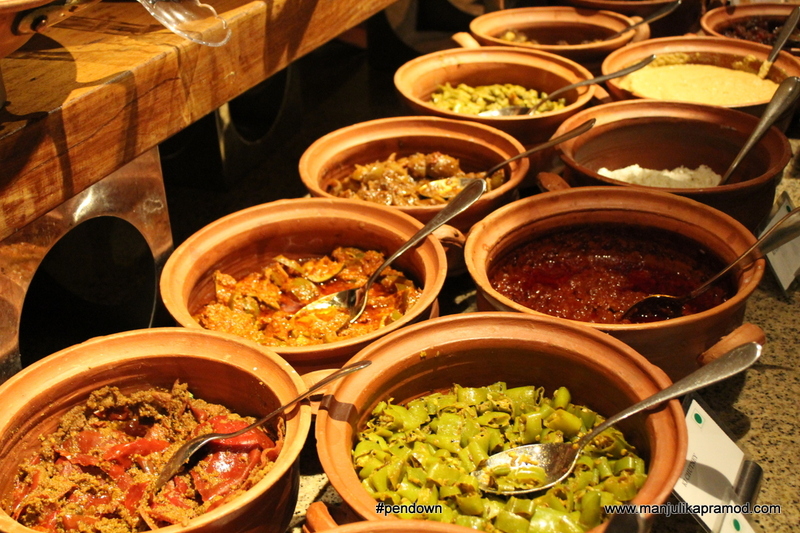 And these food festivals are a great idea to learn about food from different parts of the country. Here, I must tell you that cultural and demographic diversity of India have altered the eating habits of people in different states. Interestingly, the desert kingdom of India has lot of history behind its food. Rajasthan happens to be the land of royals. A lot of dishes came into being to please the palates of the kings while the other food was about survival against the constraints. Rajasthani people used a generous amount of oil and spices because it ensured that the food was good to carry for traveling and it stayed fresh for 2-3 days. They also preferred food that did not need heating. Sunlight was often used to bake baati. Since water was always scarce, milk and butter milk is used in the majority of dishes as opposed to plain water. 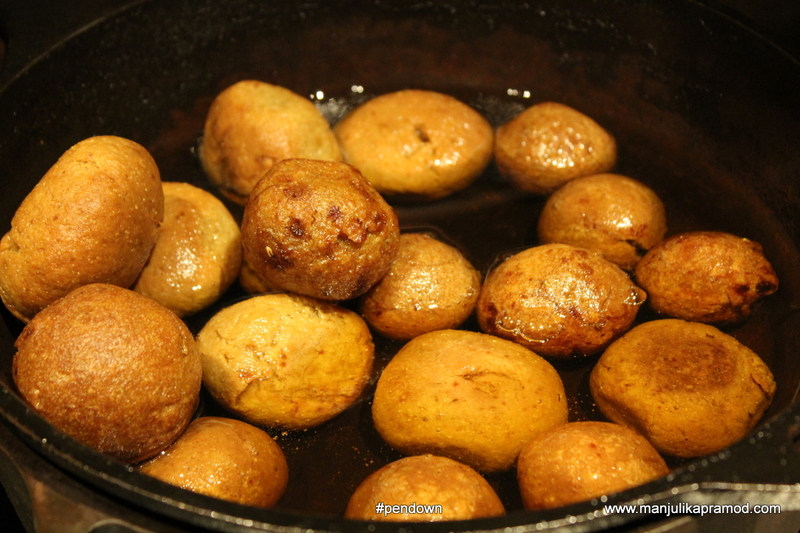 Food was generally cooked in milk or ghee (clarified butter), making it quite rich. Rajasthan, being an arid land did not have green vegetables produce. Thus the style of cooking and choice of ingredients was highly affected by this and Besan or gram flour came to be an important ingredient in the Rajasthani kitchen. 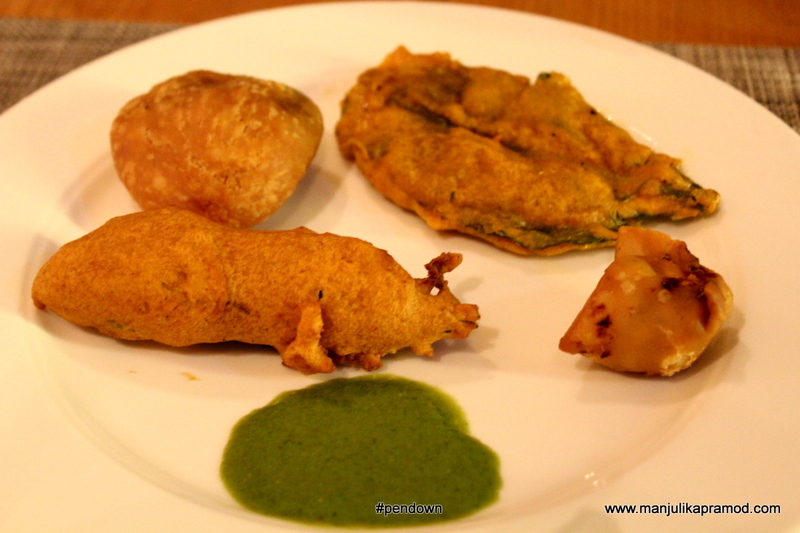 When we talk of Rajasthani dishes, it is not a mandate to have desserts after the meal. Interestingly, sweets are served along with the main course. The scarcity of water in this part of the world led to the making of baati. It needed very less water and could be baked in the sun. During wars, soldiers divided the flour dough into chunks and simply buried it in some layers of sand. Without any utensils and fire, it was very easy to bake the baati under the sun. When they returned from battlefields, they consumed it with ghee. On a sweet note, I would also like to share the hotel ‘The Westin Gurgaon, New Delhi’ has been recently voted amongst the top 10 hotels in India by the prestigious Conde Nast Travelers Readers Choice Award 2016. I am proud that it makes us proud. And starting from tomorrow, you must visit Seasonal Tastes for a yet new food festival. This time, they are all set to take us to South India. Enjoy Dakshin Takda!! !